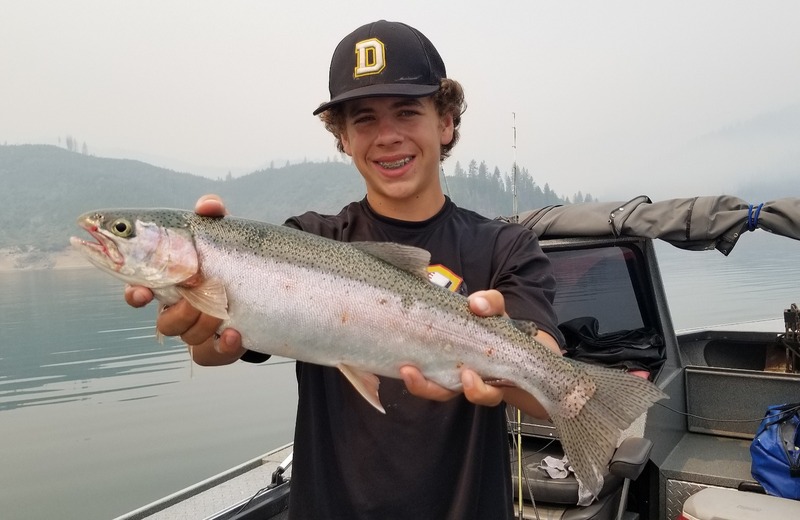 8/02/18 - Shasta Lake is kicking out some fat dinner plate Trout, hard fighting fish and even better eating. 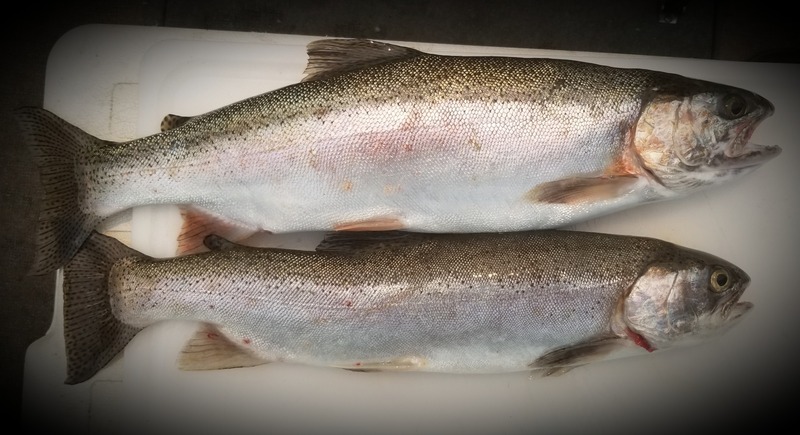 Shasta Lake Trout continue to gorge themselves on the massive bounty of bait all over the lake. 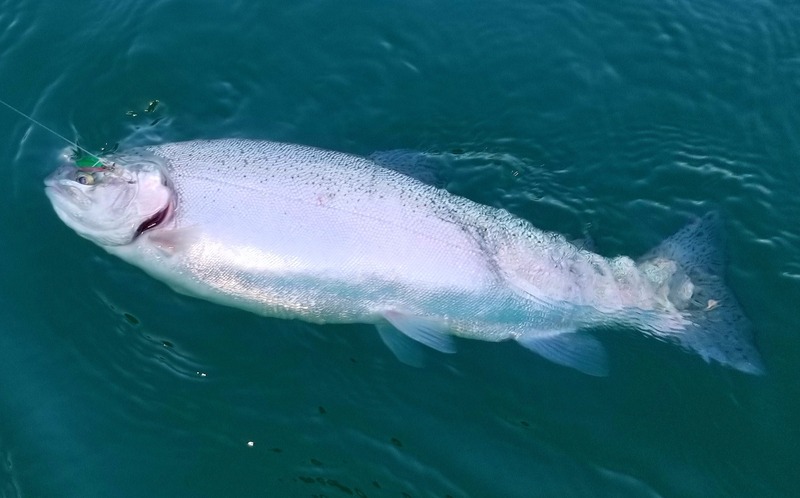 Every species of fish in the lake are getting fat especially the Trout. You can see and taste the results of months eating these little shad. The smoke in the air around the lake is not the best but it is fish able and the Bass and Trout don't seem to care one bit.